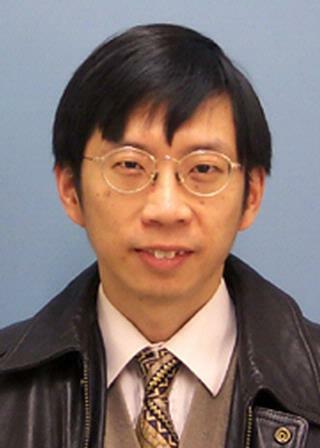 Professor Kwok joined the University of Rochester in 1990 after receiving his Ph.D. in Physics from Rensselaer Polytechnic Institute, and is currently an associate Professor of Imaging Sciences. His research interests in MRI include high resolution imaging, RF coil development, water/fat imaging, brain functional MRI, diffusion-weighted imaging and MR spectroscopy. He has been developing RF coils and pulse sequences for research and clinical applications since 1990, and is in charge of RF coils at both Strong Memorial Hospital and the Rochester Center for Brain Imaging. He is a recipient of six U.S. patents related to new pulse sequence and RF coil technologies. Professor Kwok is board certified in diagnostic radiological physics by the American Board of Radiology (since 1998). He supervises MRI quality assurance and ACR MRI accreditation at Strong Memorial Hospital and Highland Hospital. He participates in the purchase and site planning, and conducts acceptance testing of new MRI systems. He also works with clinicians to optimize MRI protocols, provides consultation support to clinical scanning, and educates physicians and technologists on MRI technology. From 2000-2003, he served in the Scientific Advisory Panel for the Radiological Society of North America Research and Educational Fund. He had also served as a reviewer in National Institutes of Health Study Sections. Koo TK, Kwok WE. "A non-ionizing technique for three-dimensional measurement of the lumbar spine." Journal of biomechanics.. 2016 Dec 8; 49(16):4073-4079. Epub 2016 Nov 02. Koo TK, Kwok WE. "Hierarchical CT to Ultrasound Registration of the Lumbar Spine: A Comparison with Other Registration Methods." Annals of biomedical engineering.. 2016 Oct 0; 44(10):2887-2900. Epub 2016 Mar 28. Qiu Y, Kwok WE, Hornak JP. "A method of switching the signal in an MRI phantom based on trace ion currents." Journal of magnetic resonance.. 2014 Aug 0; 245:171-6. Epub 2014 Jun 02.